View the entries and vote for the People’s Choice Award at The Best Art Gallery on Thursday, April 26 from 5-7 p.m.
Students throughout the Willamette Valley were asked to create a design around the theme “You’ve got a lot growing for you”. This winner of the People’s Choice Award will receive a $250 scholarship and join the other contest finalists at the PSU Farmers Market on June 9 for the unveiling of the grand prize-winning design. COUNTRY Financial will award scholarships to the top three artists. The grand prize winner will receive a $2,000 scholarship. The first and second runners-up will receive $1,000 and $500, respectively. The winning design will grace the front of thousands of canvas reusable shopping bags that will be distributed for free to marketgoers after the unveiling. The exhibition of the 2018 submissions and People’s Choice vote will be held Thursday, April 26 from 5 p.m. – 7p.m. at The Best Art Gallery located at 1468 NE Alberta St. Light hors de ’oeuvres will be served. I don’t recall how I stumbled upon Bassam Nasralla’s Instagram feed, but I found it, and I found it interesting. It was earlier this year, several months before Iraqi security forces arrived at the outskirts of Mosul. I had no real information on Bassam Nasralla, and still don’t. From what I could tell he was most likely a soldier with a camera. Our only contact was a brief text exchange asking his permission to show his work. His early images were of groups of Humvees crossing vast deserts or candid shots of people, like a soldier with a machine gun slung around his neck juggling a soccer ball. The photos were straightforward and to the point. As the weeks went on, the images were of small villages and soldiers firing upon an unseen, out of frame, enemy. I could sense the growing intensity of the conflict. Then more soldiers shooting through holes in walls, behind walls, bedroom curtains, out of someone’s kitchen, snipers at arms-length from the camera, alternating with groups of men holding up fingers marking an approaching victory. All the while my personal Instagram feed is serving me this battle mixed in with friends on summer vacations, sleeping dogs and plates of food. Some friend’s sleeping Chihuahua followed by a man shooting from the torn edge of a wheat colored building in a street of rubble. Then in the days after our Fourth of July the photos showed less shooting and more saluting of victory. 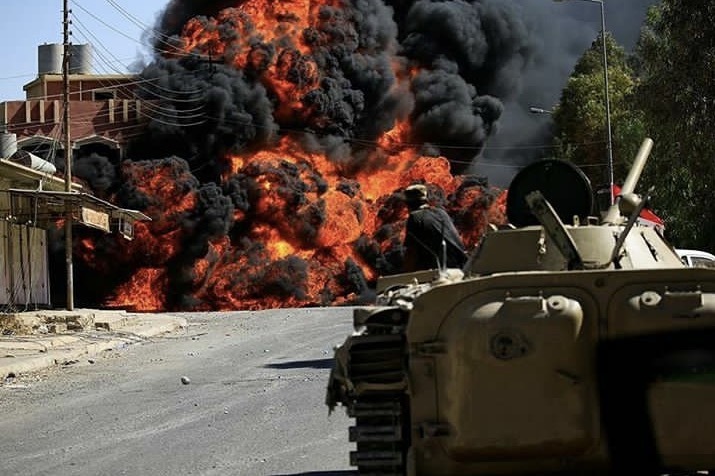 On July 10th Rex Tillerson announced the Liberation of Mosul. One chapter in a long book that is still being written. Join us to see the more than 200 local Portland student submitted artwork for the Portland Framers Market Design Contest and enjoy some tasty Farmers Market treats! Everyone who attends is invited to vote for their favorite design. The People’s Choice winner will receive a $250 scholarship. 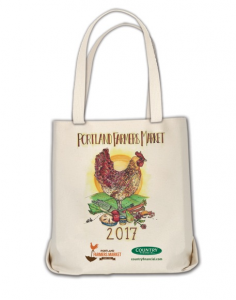 Please join us for the sixth annual Portland Farmers Market reusable bag design contest. 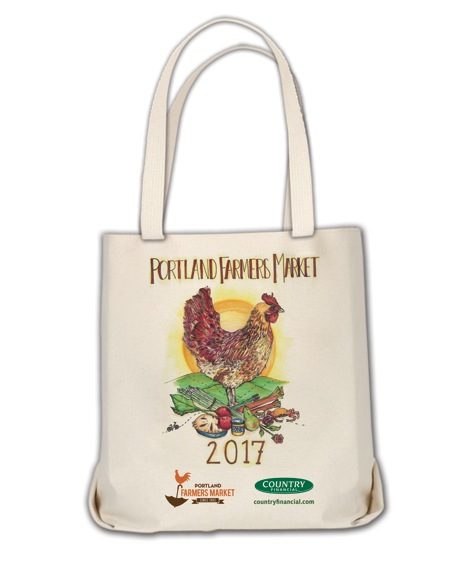 Thursday, April 28, 2016 from 5 – 7 pm The event will showcase all entries submitted to the Reusable Bag Design Contest and give the local community the honor of selecting the People’s Choice winner. This winning student will receive a $250 scholarship.